Pink Floyd are truly one of the greatest and most artistic bands to have ever existed. Founded by Syd Barrett, Roger Waters, David Gilmour, Nick Mason and Richard Wright in 1965, they went on to write and produce a number of successful albums over the following 25 years. Under Barrett’s leadership and influence, they gained early notoriety on the London music scene. Sadly, Barrett quit the band in 1968 due to increasing mental health problems. Waters went on to become the dominant influence in the band, conceptualising the band's most successful albums such as Dark Side of the Moon, Wish You Were Here and The Wall. They were infamous for their elaborately visual shows and concepts, utilising advanced lighting, projections and stage props to tell the story that was their music. The best example of this was the The Wall stage show where a wall was progressively built up between the band and the audience throughout the course of the show only to be shattered and knocked down at the end. In 1977, while performing their Animals stage show, Waters famously berated the crowd for shouting and screaming while the band were playing. He is also alleged to have spat at a fan in frustration. Richard Wright left the band in 1979 followed by Waters in 1985. Gilmour and Mason continued with the band into the 1990’s and into the new millennium. The band's final studio album was produced in 2014. Barrett and Wright both sadly passed away in the first decade of the new millennium. Although Waters and Gilmour have buried the hatchet in recent years and put their past differences behind them, they have both stated that they have no intention of reforming the band. 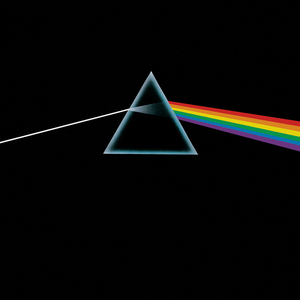 If you’re not familiar with the work of Pink Floyd, download some of their music from iTunes and give it a go. You won’t be disappointed!